Summer is well and truly in full-swing, although you wouldn’t know it from looking out the window this week. However, with many of you packing your cases as we speak and jetting all over the globe from Skegness to South Africa, facial sprays are the key to keeping your skin cool, calm and hydrated in the bright heat. Not only perfect for a budget buy, but if you’re blemish/spot prone then this is the one for you. 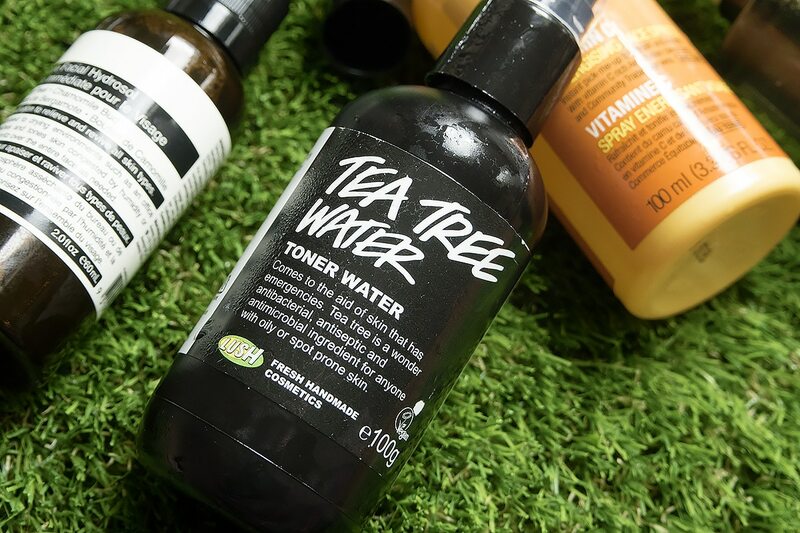 It’s a simple trio of blemish and bacteria fighting tea tree oil water infusion; clarifying grapefruit water and brightening juniperberry water. That’s it, nothing more, nothing less. If you’re feeling ‘icky’ in the humidity and heat whilst away, this will definitely do the trick. Also, take this with you in your hand luggage to use on the plane (it’s 100ml). Since smoking is banned on airplanes, they no longer pump in fresh tanked air, instead the same air is circulated around and around and around – every cough, sneeze, fart and burp pushed right back into your face. Therefore I don’t know about you but I always leave an aircraft with at least one good blemish, so stay antibacterial and well hydrated with Lush’s Tea Tree Water! This is another little saviour. It has no treatment benefits per say (La Roche per-say ho, ho, ho) but it’s ability to cool, hydrate and most importantly calm the skin is not to be overlooked. The water, from it’s name-sake village in France, is ultra-rich in scientifically proven calming minerals and antioxidants. One quick spray of this will hydrate the skin and calm down any prickly sun irritation. Also keep it in the fridge, you’ll thank me later. I take this to the pool with me and after a good swim whilst relaxing in the sun, I keep applying a gentle mist to my face and upper body (I’m such a delicate flower). It’s so natural you can even spray it in your mouth if you’re feeling a bit parched! 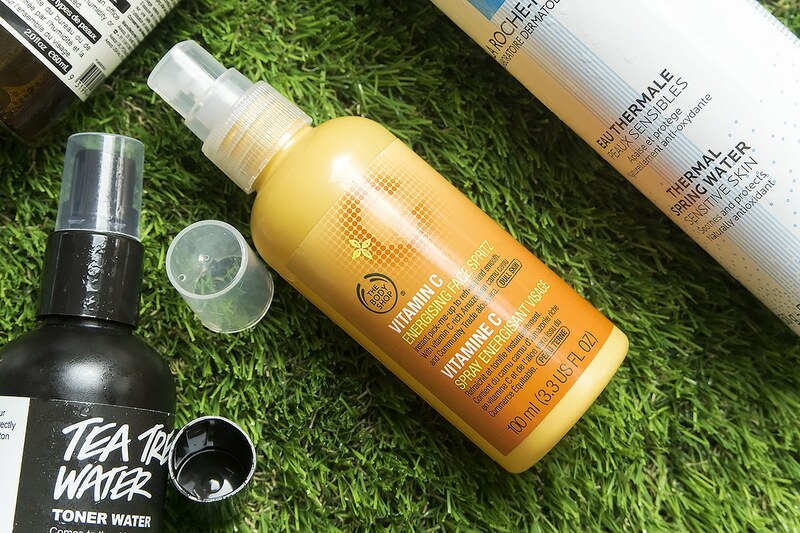 With the launch of the incredible Vitamin C Glow Boosting Moisturiser from The Body Shop, I’ve returned to re-explore their Vitamin C range to remind myself what I’ve been without! I used to use the Face Spritz religiously when on holiday as a teenager (again… a gentle flower) and it’s just as good today as I remember. With a suspended Vitamin C formulation that doesn’t degrade, it refreshes the skin and helps to keep it protected with the incredible antioxidant properties of the Vitamin C molecule (it’s not sun protecting). Guatamalan Aloe Vera juice also helps to soothe and calm the skin’s surface. It smells amazing and feels refreshingly tingly on the skin. Great for more of a combination skin type, it slightly mattifies the skin’s surface whilst instantly cleansing with witch hazel, white oak and refreshing with invigorating peppermint – although the scent is quite mild but so relaxing as there’s a good shot of Damascene rose which is the ultimate skin calming ingredient. The toning mist disappears into the skin without a trace and although does give a little hydration, doesn’t leave you feeling sticky and covered in product (not that the others do to be fair). This is definitely the one you want for a quick blast whilst out and about as it won’t make you look like you’ve been sprayed in the face. 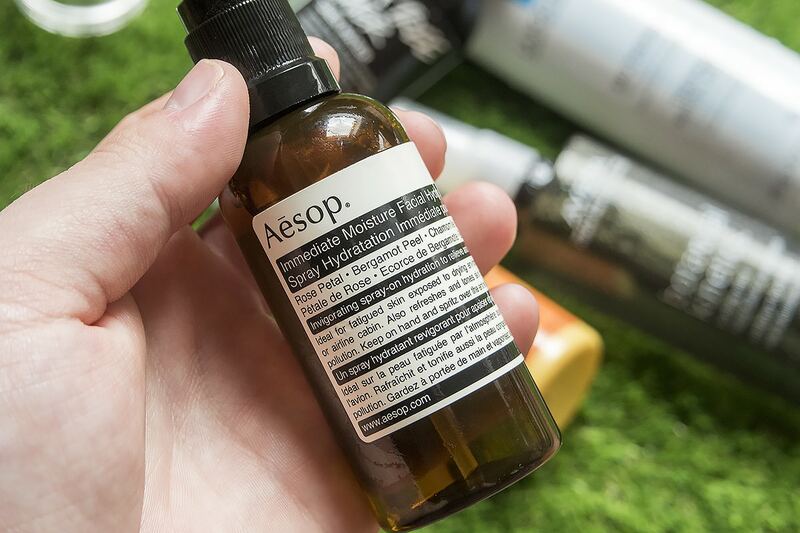 Although yes, this is £1 less than the Aveda, we’re starting to get into more treatment benefits with Aesop so as well as just being a fabulous and cooling spray, it works a little magic. Infused with pure Demascene rose oil, rather than simply a modified extract as well as chamomile pure essential oil, this one is your ticket to calm summer skin. 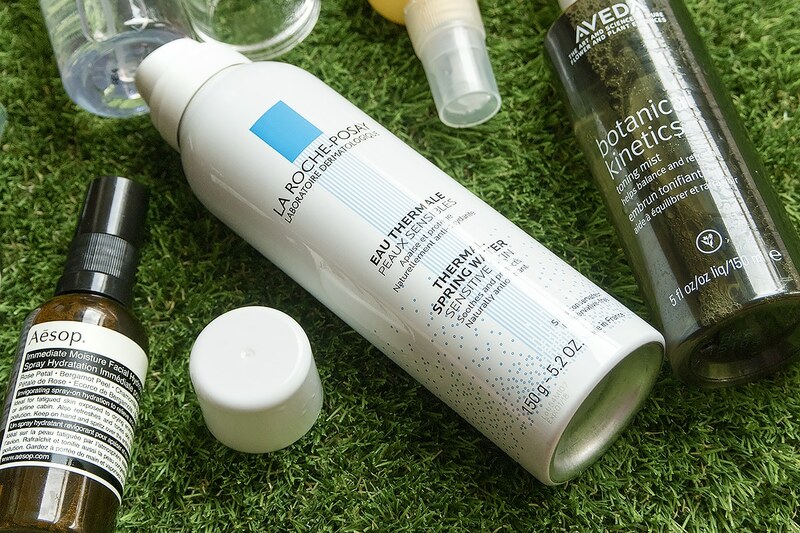 Chlorine from your summer swimming pool wreaks havoc with the skin; it dries it out, makes it more sensitive to sun damage and can lead to blocked pores – therefore the Hydrasol spray’s bergamot peel (and accompanying ingredients) helps to prevent and unblock pores acting as a gentle astringent. 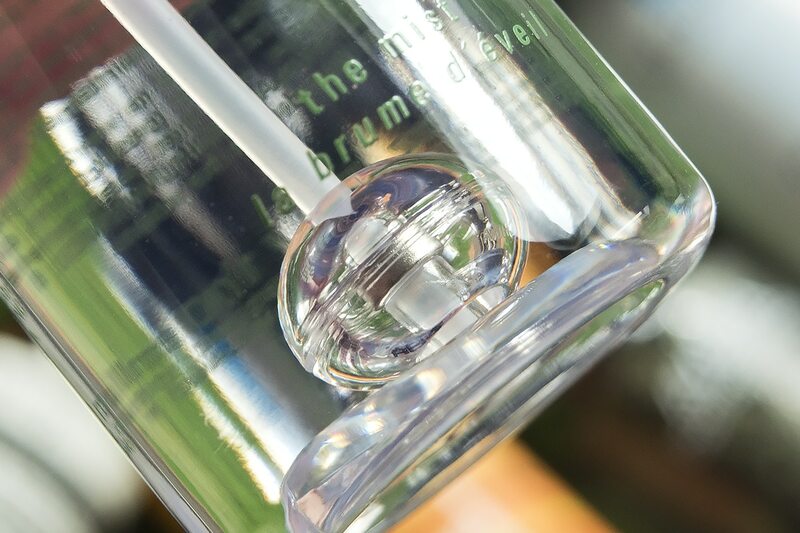 Make sure to keep this below 21°c as the heat will start to break down the pure essential oils. If you’re looking for treatment benefits in your facial mist then you’ve reached the holy grail. It doesn’t much better than this. Using their patented ionically charged water, kept charged by an internal magnet you can see floating up and down the tube in the bottle. This creates a charged liquid with a negative bond to leach hold of surface impurities and a positive bond to pull them out of the skin to your cotton pad – think of it like one of those magnet-doodle boards with the iron shavings. 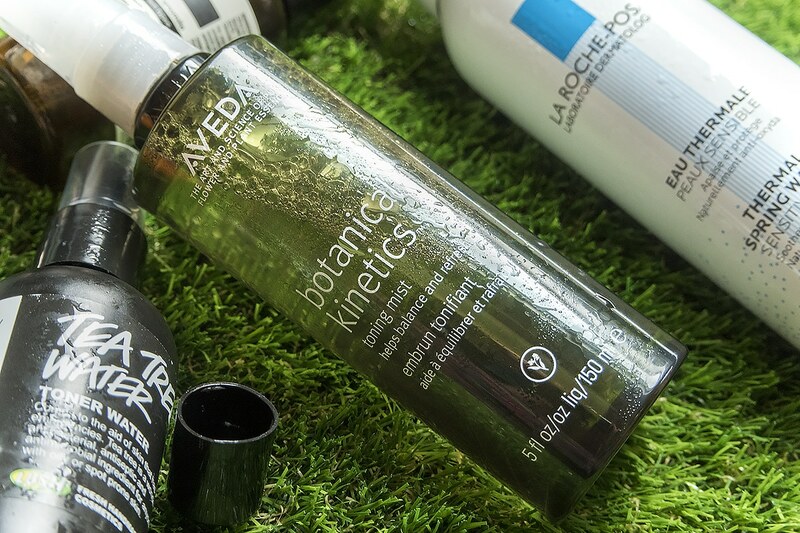 This magnetised water is also then more easily absorbed by the skin so the active ingredients are able to more deeply penetrate its surface. The Miracle Broth, the keystone of the La Mer brand, then delivers soothing properties to the skin’s surface whilst sending signals to the deeper levels to promote skin cell regeneration. 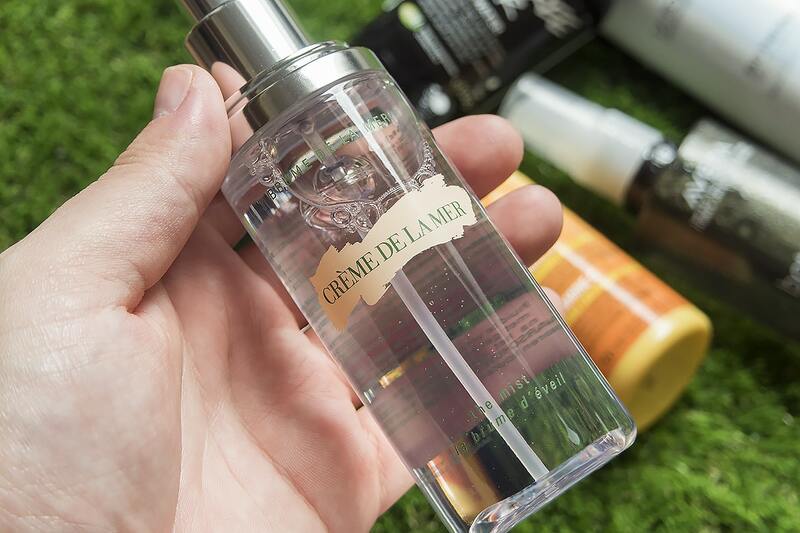 I kid you not – I’m very pessimistic when it comes to so called ‘miracle properties’ of cosmetic products, but La Mer continues to be a brand that stuns me at every step of the game. In the summer sun, this will help to calm, mildly cleanse, protect and regenerate skin cells. This article first appeared on MANFACE written by Thom Watson. It was published on Thursday 30th July 2015 and was last updated on Monday 3rd April 2017 at 1:21pm. 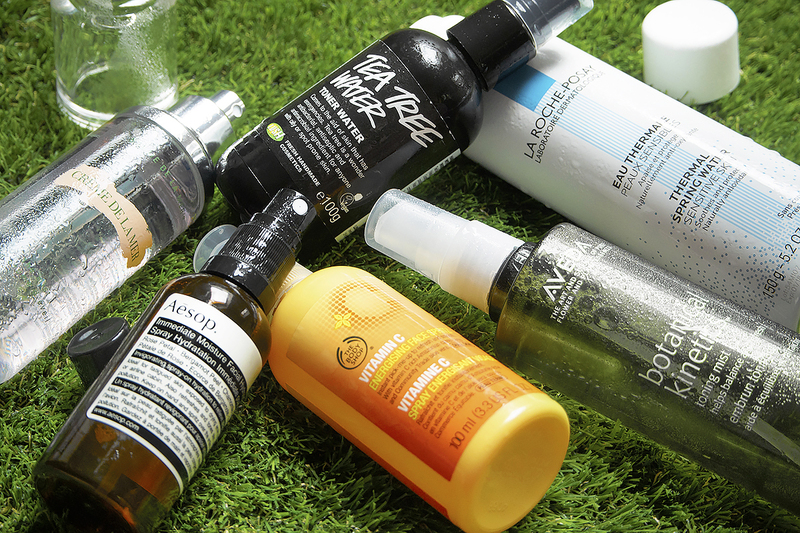 It's categorised under Aesop, Aveda, Dry / Dehydrated Skin, La Mer, La Roche-Posay, LUSH Ltd, The Body Shop, Tone where you'll find more related content. I like the Vit C one from TBS and the La Mer is so neat. Have you tried either L’Occitane (Angelica range) or Kiehl’s? They’re always in duty free, really nice and super portable. Great post! I’m also fond of the Tatcha and a Korean brand called Goodal. They’ve got quite a high oil content, perfect for drier skin types. I’ve had the Aesop and body shop, I’m currently using the lush one too and loved them all! I’ll get round to trying the other two next.